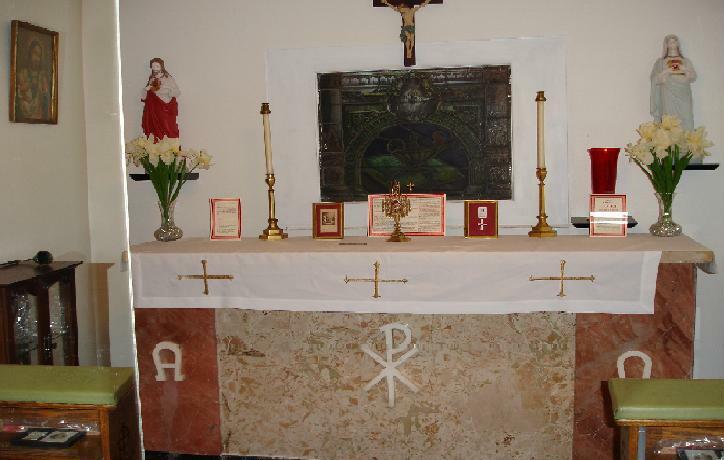 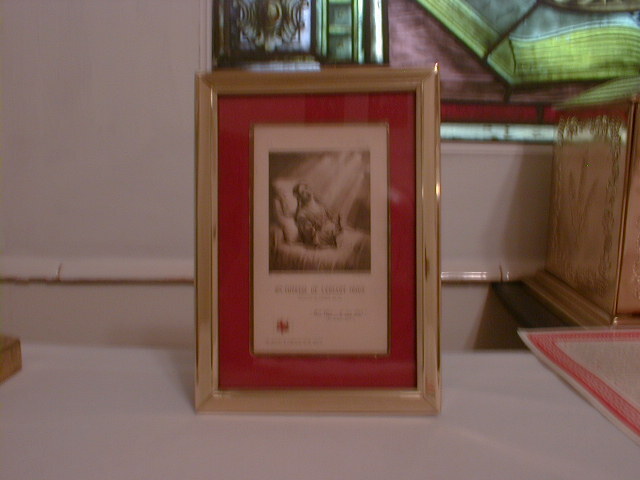 Holy Relics displayed in Chapel for veneration. 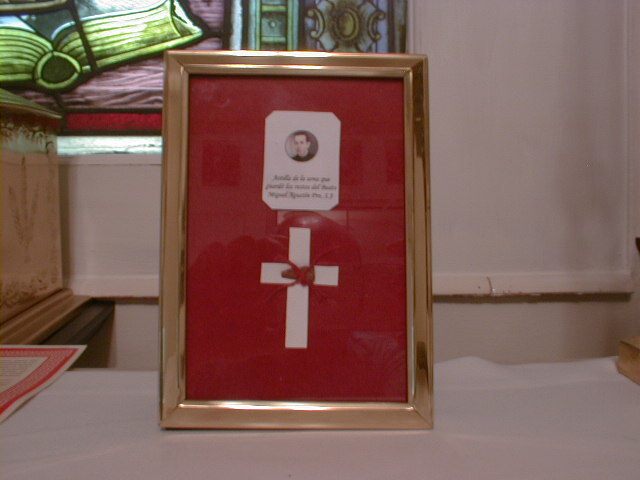 Here are Second Class Holy Relics which have the proper authentic documentation which allows for public veneration. 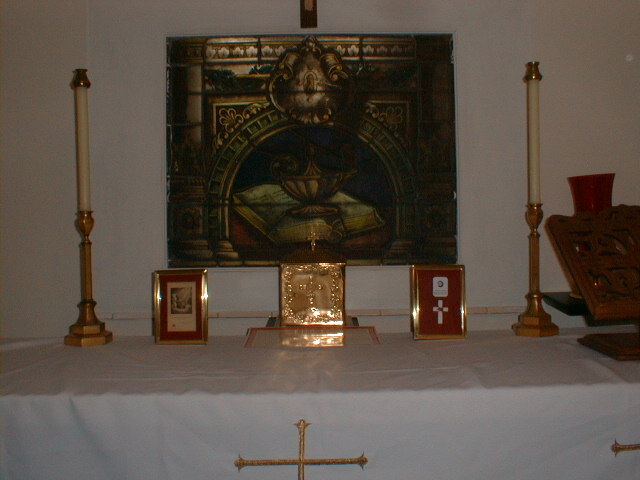 These two relics presently on display are of Saint Therese of Lisieux, also known as the Little Flower of Jesus, and Blessed Miguel Pro, S.J., Martyr.